As a Project Manager, Mike’s responsibilities include acting as the day-to-day project manager on complex design, construction and advisory projects. 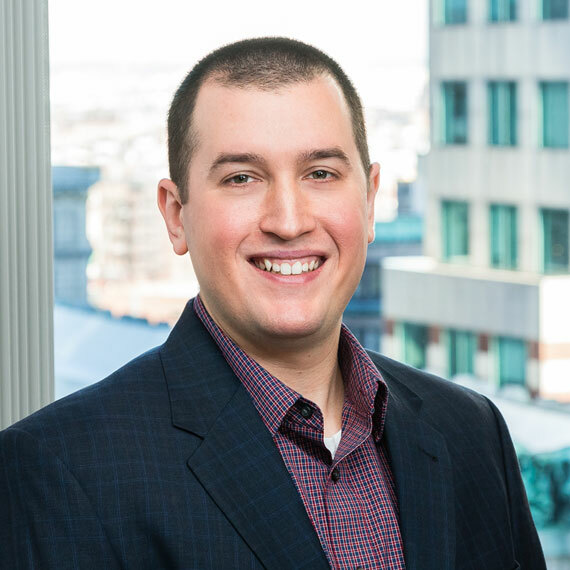 With over 10 years of experience in the Boston real estate market, he has worked in healthcare, information systems, and residential construction. Most recently, Mike provided project management services for the laboratory design and fit-out of Brigham and Women’s Hospital’s Hale Building for Transformative Medicine and is currently working with Brigham and Women’s Facilities Planning Office on multiple renovation projects throughout the research campus. Prior to joining Leggat McCall Properties, Mike worked for Boston Children’s Hospital as a Research Space Analyst. In that role, he supported construction project closeout and research financial reporting using AutoCAD and Archibus to maintain floor plans and asset information from the Hospital’s 850,000 SF research portfolio.